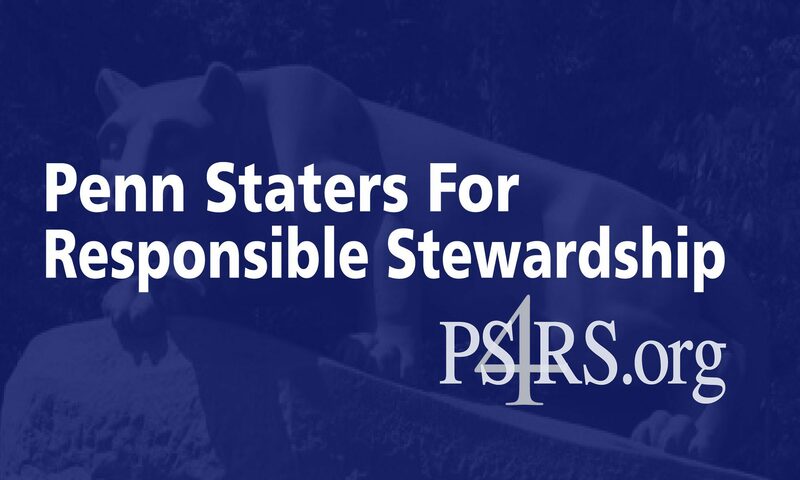 March 17, 2014 — The results of the 2014 Penn Staters for Responsible Stewardship endorsement election are in. The organization will formally endorse alumni trustee candidates Bob Jubelirer, Al Lord and Alice Pope. “The 2014 PS4RS ‘Top Six’ was certainly a formidable field. If we’ve learned anything over the last few years, it’s that there are far too many alumni with courage, initiative and very impressive talents who should be replacing more than just three ‘old guard’ trustees each year in an effort to most effectively improve Penn State’s governance. Congratulations to Bob, Al and Alice. And our very best wishes to Rudy Glocker, Gavin Keirans and VJ Tedesco,” said PS4RS spokesperson Maribeth Roman Schmidt. This year, PS4RS served up some “new and improved” platforms so its membership could objectively review the candidates based on written applications, four-minute personal videos, and participation in a 90-minute PS4RS “Top Six” Town Hall, in addition to candidate engagement on the organization’s social media platforms.